The Origin DC’s distinct shape sets it apart from its peers. Its three blades flow around the elegant curve of the motor and stretch across a 56-inch diameter.This seamless design easily incorporates an LED light, thanks to the removable cap at the motor’s base. This product earned a 2017 recommendation from Choice Magazine for its superior quality. 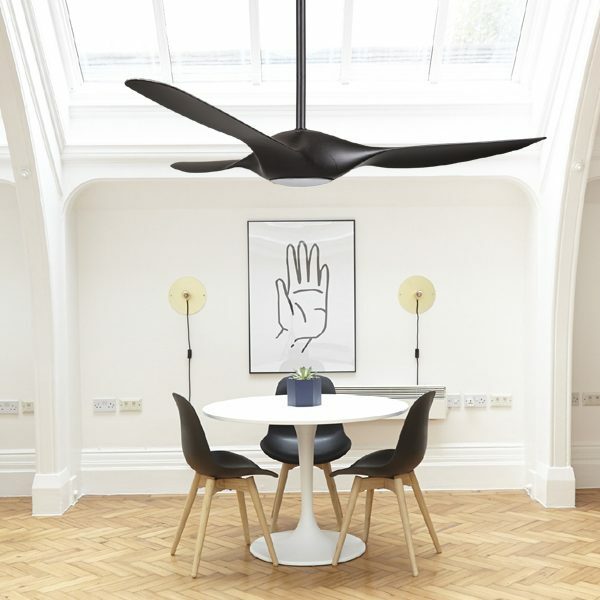 This particular model of the Origin ceiling fan by Fanco comes with a Black motor and Black blades. The Origin 56″ ceiling fan features cutting edge DC technology and features a sophisticated, aerodynamic, ABS plastic blade design. The powerful motor means it will reach a maximum airflow of 13,446m3/hr. 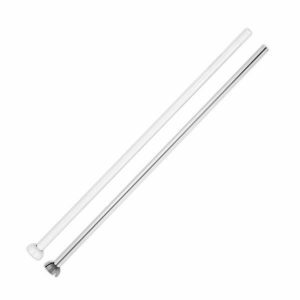 This model includes a 4000K, Natural White LED light kit (1100Lm). When the light fixture is installed it won’t detract from the overall design because its form will remain the same with or without the light.